How do Banks Decide How Much to Lend? 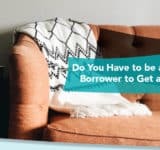 You want to buy a home but have no clue how much you can borrow. Before you just start shopping, you need to talk with several banks to see where you stand. 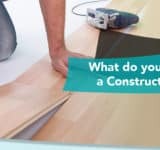 They will give you what they call a pre-qualification or pre-approval, depending on how far you take the process. This ‘approval’ will give you a ballpark estimate of what you can afford to borrow. A pre-qualification is an estimate of what you can afford. 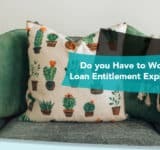 The lender doesn’t pull your credit or look at actual income documents to determine what you can afford. They take the information you provide verbally to decide what they may be able to lend you. A pre-approval is a more concrete answer of what you can afford. The lender will pull your credit and take a cursory look at your income documents. They will then provide a letter stating that they will lend you x amount of dollars conditional upon the factors they list, which will include the value and condition of the property you intend to purchase. But just how do banks decide how much they can lend you? We take a look at the details below. Your first stumbling block is your credit score. If your score doesn’t mean the lender’s requirements, there’s no reason for them to move any further with the process. Each program has different credit score requirements, but they range from 580 – 680 in general. FHA loans allow credit scores as low as 580, whereas conventional loans require scores more along the 680 range. The less debt you have, the older the accounts, and the more on time that your payment history is, the higher your credit score will be. The minimum credit score requirements for each program are the suggested minimum. Lenders may enforce higher scores or they may limit how much you can borrow if your score is too low. Again, without the right credit score, most banks won’t go any further into the underwriting process. They use your credit score as a ‘first impression’ of your financial responsibility. If you don’t pass that test, they will move onto the next applicant. Again, each program has its own debt ratio guidelines. They range from 28% on the front end to 43% on the back end. Each lender has different requirements, though even if the desired program has a set debt ratio requirement. Along with the debt ratio, though, lenders look at the stability of your income. Have you received the same income for at least the last 2 years? Even if you changed jobs within that time, was your income around the same amount with the job change or did it decrease? If it did decrease, your chances of loan approval could decrease. Banks may approve you, but it may be for less than you were hoping to borrow if this is the case. The amount of money you plan to put into the home also plays a role. A borrower that will invest very little is a much higher risk than the borrower that will put down a large down payment. Borrowers putting more money down often find it easier to secure a larger mortgage. Lenders like to see a little ‘skin n the game’ because it makes you less likely to default on the loan if you have your own money invested. Even if a program doesn’t require a down payment, making one can increase your chances of approval. Once you pass the credit score and income/debt ratio requirements, you’ll need to find a home that is worth enough to qualify for the loan. There are only a couple of 100% home loan programs – the USDA and VA loans. These are specific programs that require you to purchase a home in a rural area or be a veteran of the military. If neither of those applies, you’ll have to meet the FHA, conventional, or subprime loan guidelines. Just how much banks let you borrow depends on the value of the property. For example, FHA loans allow you to borrow up to 97.5% of the home’s value. Conventional loans allow you to borrow as much as 95%, but if you want to avoid paying Private Mortgage Insurance, a maximum 80% LTV is allowed. Subprime loans have requirements all over the board. If you want to go the subprime route, you’ll have to shop around with different lenders to see what programs they have. Some offer programs with as much as 100% financing because the lenders can make their own requirements. However, if that’s the case, they’ll usually require great qualifying factors, such as a high credit score, low debt ratio and stable income. One final factor that affects how much banks will lend you is the home’s location. Certain loan programs, such as FHA loans, have maximum loan amounts based on the county you live in. Some subprime lenders will vary the maximum loan amount based on the county as well. In general, they look at the cost of living in the area and the average cost of a home to decide just how much they are willing to lend for a home in that area. As you can see, banks use many factors when deciding how much you may borrow for a home. If you don’t meet the basic guidelines of a government-backed or conventional loan, you can still try the subprime loan route. 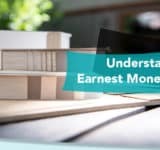 This way you can try different lenders with their own guidelines – they don’t have any other entities buying or backing the loans that they must answer to.